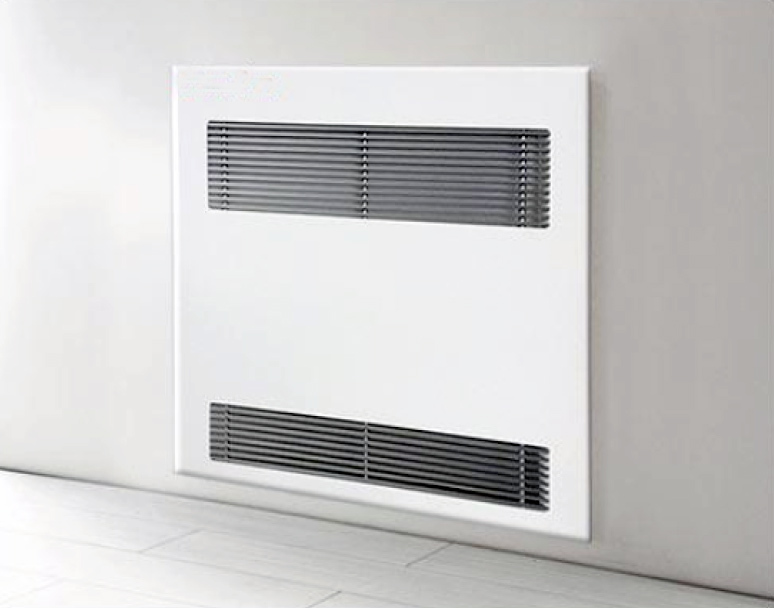 Iris IN Slim is the Recessed wall fan coil for heating and summer air conditioning, Designed to work with low temperatures while maintaining the temperature pleasant environments. Beautifully designed and elegant is installed on the wall in a very simple. It 'available in 4 sizes with different powers. 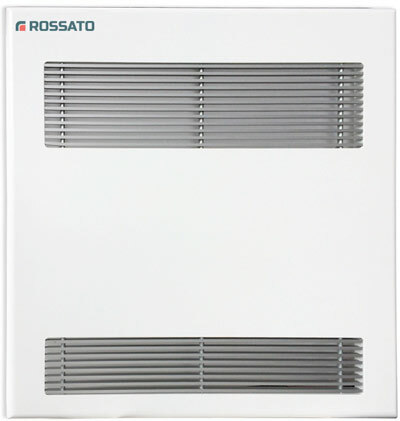 Iris is fitted with a filter of large size, mounted on the front that allows filter the air maintaining a high comfort and hygiene in the environment. 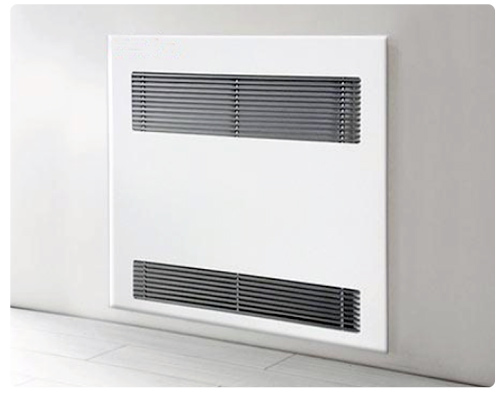 The recessed fan coil is installed on the wall and hidden by its innovative design shell. Iris IN Slim is thin, elegant and silent, the covering layer is made of white galvanized steel. 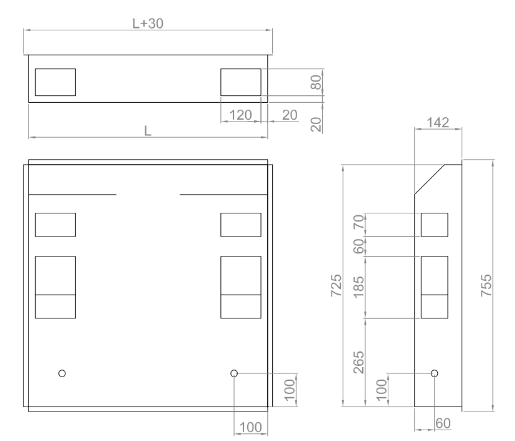 Iris IN Slim was designed for installation in hotels, hospitals, offices, etc. and homes where the demand for comfort and imperceptibility of noise is a necessity. The noise level is exceptionally low, at least compared to the same product category. 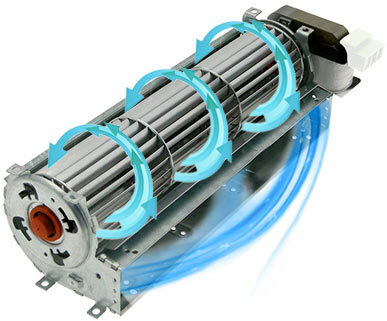 The tangential fan operated by an electronic motor that modulates the speed ensures extremely uniform air distribution and homogeneity of temperature in the environment. The fan of Iris IN Slim is performing and operates in a completely silent manner on various levels of speed and power. 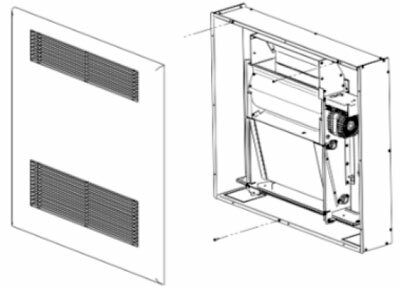 The fan convector collection is composed of a heat exchange coil with copper pipes and aluminum fins, with connections of ½ "gas positioned to the right. It is equipped with a lower air intake and upper outlet for which the predisposition exists to be able to deflect the closure panel. 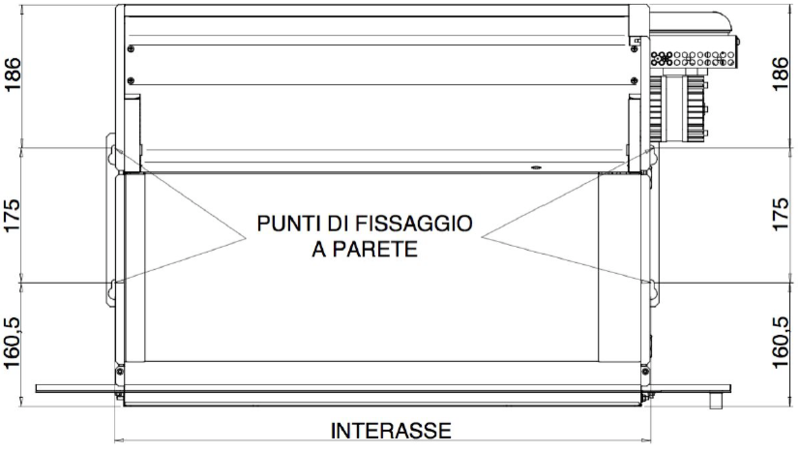 At the bottom it is located the drain pan, and are located at the top of the cross-flow fan and necessary for the electrical connections. 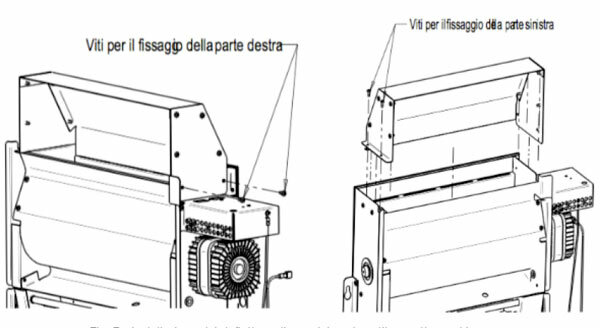 The fan coil is intended to be installed in ll'interno of a box made of galvanized sheet metal which encloses the sides of 5 while one is intended for filling with space for the air flows in input and in output from the machine to the environment. The roof covering with grids for air supply must be installed before startup. 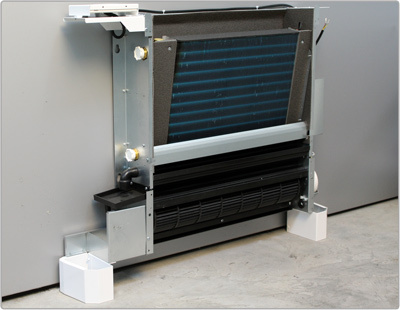 The covering is easily removable to allow access to the interior of the unit to allow the cleaning operations. 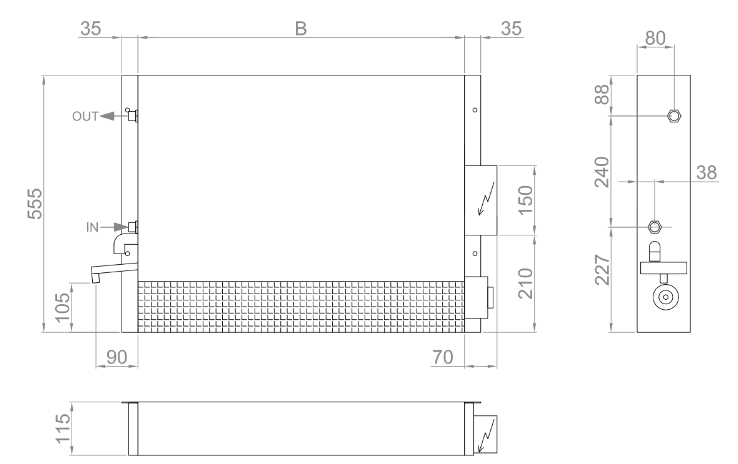 Install the structure of the fan coil built according to the instructions (ECO-IS-01-A-N14) and secure it firmly to the wall object installation. Before proceeding to install the fan in the building built, it is necessary to secure the flow deflector.